When I looked for a hotel in Manchester last week it was very restrictive which hotels were eligible for the bonus. Although the terms may say no min spend it appeared to me that only higher end (expensive) hotels counted which all far exceeded my corporate limit. Disappointing that they exclude Premium members. That just seems a bit mean. Premium members get 3000 points! Virgin £1 PE competition back again. Rob states that Premium Members are excluded, full stop! This does seem an unnecessary exclusion. That said, like all of the other agencies listed, RM’s prices are way above those found on Hotels Direct or Trivago…..
i find with independents that’s not always the case. There are different deals for Premium members. I need to spend about £500 on my Amex fairly quickly to trigger a voucher. Does buying travellers cheques still count? Used this a few years ago, bought them then just deposited into bank account. That route via Amex travel no longer exists. Is there any other good ways to manufacture spend? Gift vouchers or something? Gift vouchers yes. If your council takes Paypal like mine does you could make an early payment of your council tax. Other reward currencies are available! Crediting hotel stays to Avios is generally NOT the best value. I have found the best stay and park deals at Heathrow have been at the Doubletree, earning lots of Hilton points. IHG have packages too. Correct. However, the package includes parking at T2 / T3 car parks. You park at the hotel overnight, in the morning you drive to the car park and then get the free shuttle bus. Interesting post – i use RM fairly frequently when staying in London and client gives me a fixed budget for hotel. 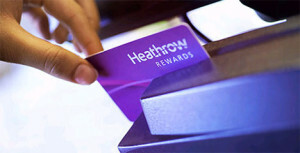 Is there any other brands that can link back to Heathrow Rewards points? No, but they are trying to get more partners. A credit card (and I have no idea if they would do one) would be outstanding given all the redemption options. Heathrow is also less bothered about making money from HR than it is about promoting the airport, so I think they could afford to run a very generous credit card. Agreed – this would be excellent! The BA e store has a new partner for booking airport hotels and parking, can’t recall the name! ParkCloud, but it is a direct BA partner. 4 days in USA. 2 in New York. Where should I spend the other 2? Plenty to do in NYC for 4 days! Must visit USS Intrepid aircraft carrier museum. If you must go elsewhere – drove down to Atlantic City for a night in mini-vegas. Altantic City is not like Vegas. Especially during winter months! Philly, Washington, Boston are all easy to get to and I would favour them in the order listed. If travelling in the Summer there is the Hamptons or significantly better is Nantucket or Martha’s Vineyard but 2 days would be a stretch. Lots of good resorts on the Jersey Coast in the summer too and reachable by train. Also any experience of a good discount code to use with Hilton? Average hotel. Find the intercontinental, St Regis or W far better and can be had for similar rates. OT: I’ve just been credited with 2019 Avios labelled as a special promotion but I can’t think where they’ve come from? I’m not complaining just curious, any ideas? Got these too. It says ‘Birthday Promotion’ on my recent transactions even though I got 2,018 on my actually birthday! It’s almost exactly 6 months from my birthday though? Must be a BA error! I’m sure the more widely it’s known, the less likely it is that they’ll take them away! I’ve had my HSBC Premier World Elite for more than a month and my points balance is still zero despite hitting the bonus target and more. Due to get my statement soon so I expect it’s after every statement? Have to spend £200 by tomorrow on my Amex to trigger £15k spend bonus….can I just buy a load of Amazon vouchers? Any other efficient way of triggering the bonus? Yep you can just directly top-up your Amazon account. Gift cards from the supermarket a good way too if you don’t want it all as Amazon credit – if you have a Morrisons nearby then use them and pick up some More points too. If not there’s currently an offer at the Marriott Heathrow for certain dates which comes with free parking. Parking’s usually £15 a day so the cash saving may be worth more than avios. I’m leaving it until 1st Feb as I have an Accelerate target which requires a February stay! Good God man you can’t go! They’ve got saucepans in the bedrooms! Thank you. I also realised this question was asked above in a similar manner after posting!